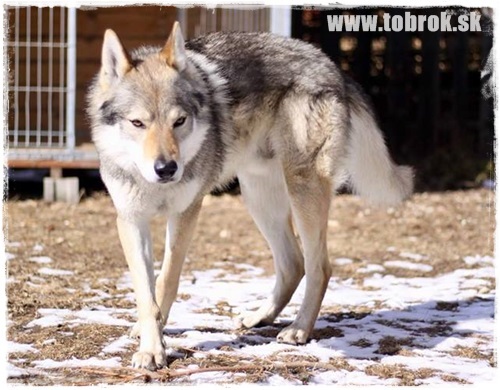 We are a small kennel, we breed Czechoslovakian wolfdogs, hovawart and leonberger. 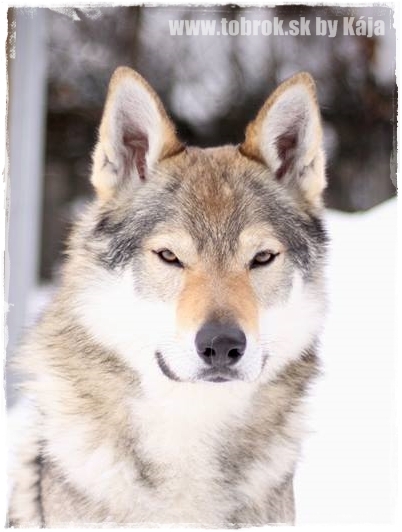 28.02.2019 - Sadly, we have recieved not so happy result od DM - degenerative myelopathy by Caleb. He is carrier DM/N. So I can not use him for my Akia. I have already a second choice, but I realy wanted to use him at my own kennels. We think about using him by Angstroom. 26.02.2019 - Because we renovate our home and will have in short time realy only few free time, I will not update the pages so often. Please be patient. 25.02.2019 - The first result from Vetgene is here. Dwarfism - DW - by Caleb. Kali is negative - we already knew, by parentage. More important for us is myelopathy. 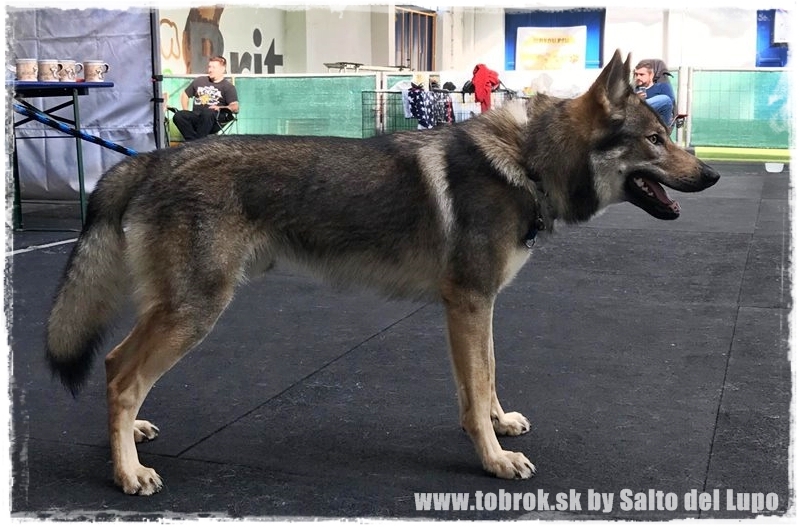 24.02.2019 - National dogshow in Bratislava. Drogo took second place with Excellent 2, res.CAC! Congratulations! 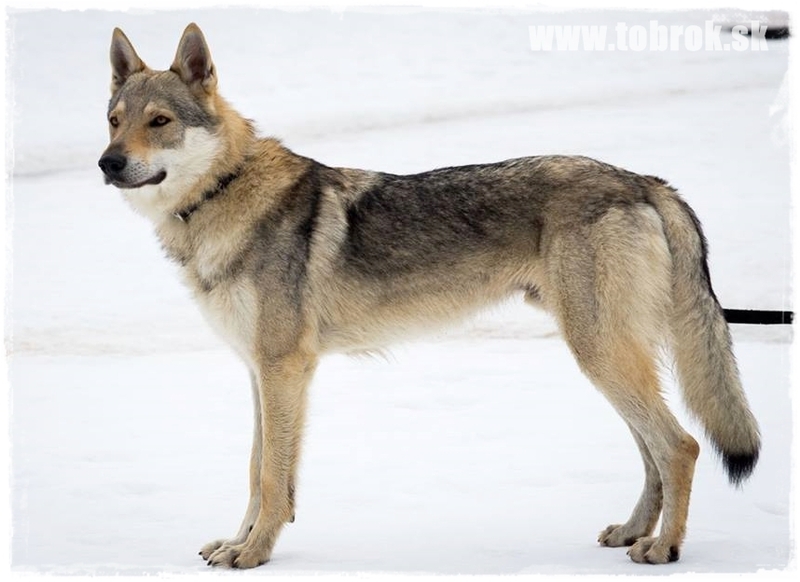 14.02.2019 - We will add in short time the profiles of two stud males from our kennel, who will not have own web pages by theire owners. It will be Drago and Casshern. 11.02.2019 - We have sent the blood for DM and DW stest by Caleb. Lets hope for the best. 03.02.2019 - Fleaur has her own album on Rajče. 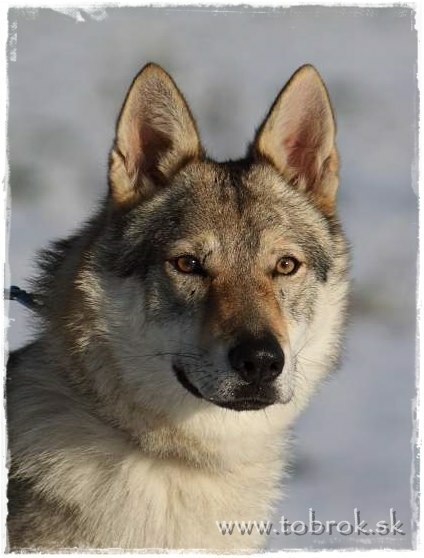 02.02.2019 - Fleaur absolved control by club of CsW breeders, everything is OK, so we have "green" for chipping and administrative. 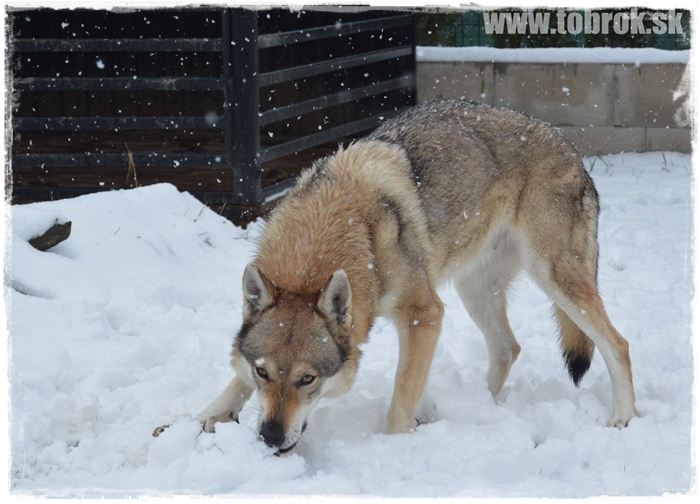 28.01.2019 - Another mating with one of our progeny - Tobrok Conall Yel, a male with great exterior, longer coat, perfect character and free of HD, ED, DM and DW! 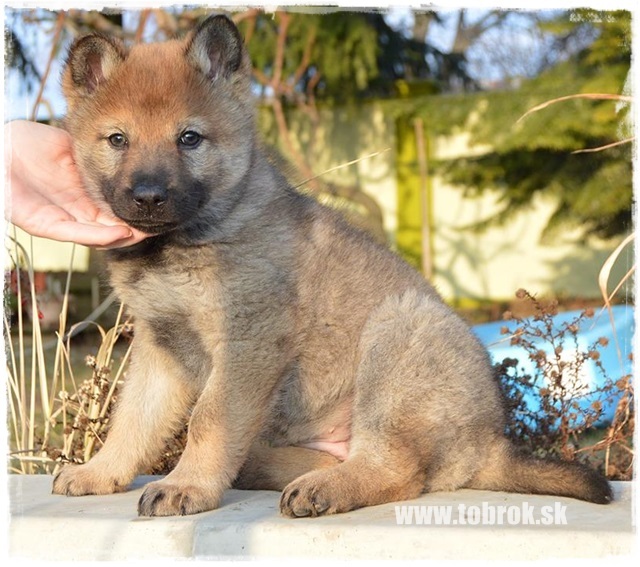 The brood female is Asma Zara Miracle Mia in Czech kennel Vlčí štestí. 27.01.2019 - 3 x CACIB Nitra with Akkanga Leon eperies and every day a different result. sunday, judge: Havelka (SVK). Juniores class - Very good 3 (3/5). saturday 26.01., judge: Shiyan (UA). Juniores class - Excellent 1, CAJC (1/4). friday 25.01., judge: Vanža (SVK). Juniores class - Excellent 2 (2/4). 24.01.2019 - I have visited Fleaur today, and must say, she is just PERFECT!!! Great open character, great colors and body. 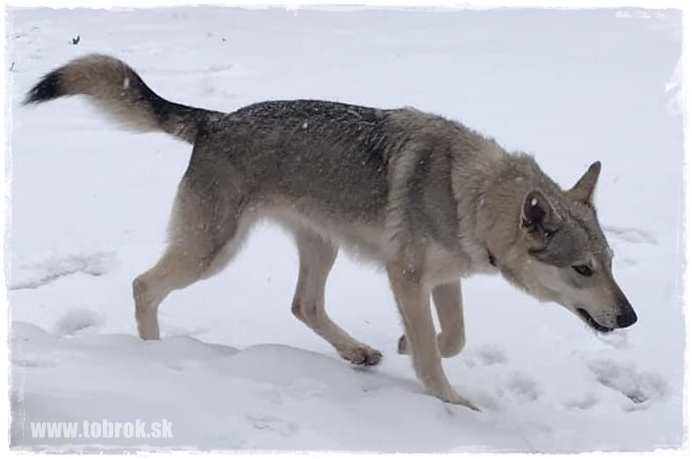 23.01.2019 - Photos of our Fleaur are updated on Facebook and to her album. She is growing and getting great colors. In next days, she will know her future owners and get the control by the breeders club. Than the administrative will start, so she can recieve her pedigree documents. 13.01.2019 - Today we celebrate 9 years of kenel history! We have 6 litters with 25 pupps. All in great shape with perfect owners. Sadly, one - Biryuk died already. We will always remember. 09.01.2019 - Finaly, officialy, two new comming litters after Tobrok Casshern Yel. 07.01.2019 - Take a look on our Facebook. I add nearly every day new photos. 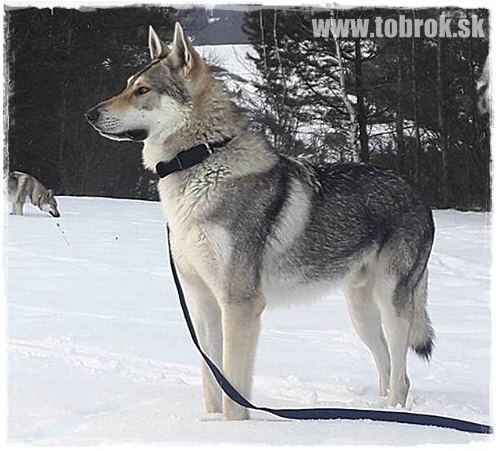 02.01.2019 - The termines of special and club show of Slovakian hovawart and leonberger clubs are in our termines callendar. 01.01.2019 - Created news archive for year 2018. Texts that appear on this page are written according to the literature in the "web, books, others" and by me. Are subject to copyright, the copy and the publication of the source is acknowledged! On these pages are photographs, which the author is not me. By any such photo is a link from which way it comes, if it is referred to as the source of the Internet, although the exact author is unknown.